The makers of Ranveer Singh and Alia Bhatt‘s Gully Boy revealed the first poster of the film earlier today. The film is based on the story of street rappers of Mumbai and this poster speaks volumes. Ranveer took the first poster of Gully Boy to his Instagram handle and captioned it, “Apna Time Aayega! 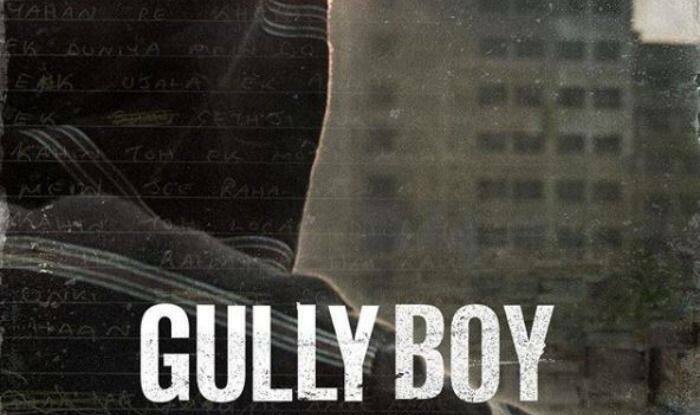 #GullyBoy #14thFeb #2019.” The poster is a really simple one with a boy facing his back to the camera and looking to the buildings in front. What is most intriguing about the poster is blurred rap verses on it. Ranveer was last seen in Rohit Shetty’s Simmba with newcomer Sara Ali Khan. Sara made her big Bollywood debut with Kedarnath where she was paired alongside Sushant Singh Rajput. Ranveer has also signed Karan Johar’s Takht. The movie features Vicky Kaushal, Anil Kapoor, Bhumi Pednekar, Janhvi Kapoor and Kareena Kapoor Khan. Ranveer will start prepping for his upcoming film 83 from January in which he will be seen playing the role of Kapil Dev. Alia, on the other hand, will also be seen in Kalank, with Varun Dhawan, Sonakshi Sinha, Madhuri Dixit, Aditya Roy Kapur and Sanjay Dutt. Her other film Brahmastra is said to release on Christmas 2019. Gully Boy, loosely inspired by the lives of Vivian Fernandes aka Divine and Naved Shaikh aka Naezy, was earlier selected as part of the Berlinale Special programme. It is set for release on February 14, 2019.